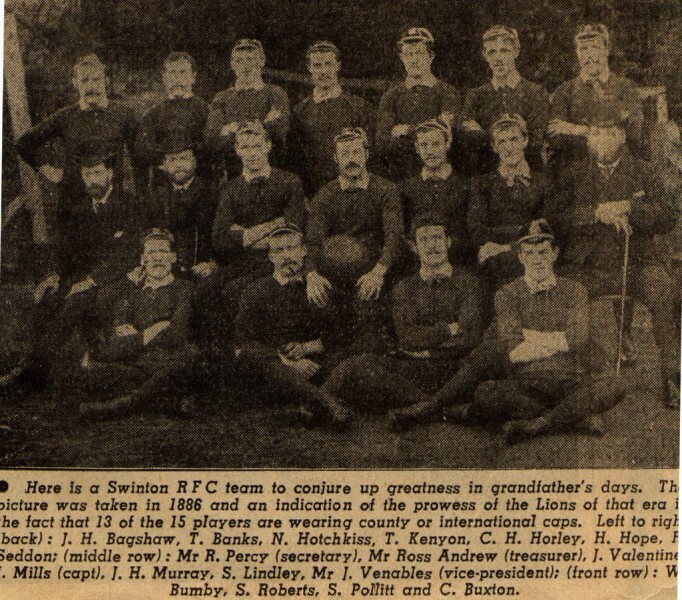 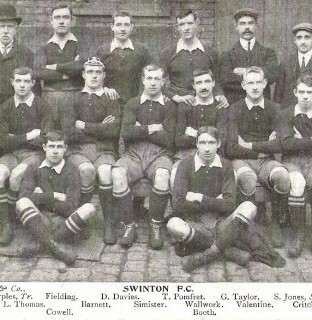 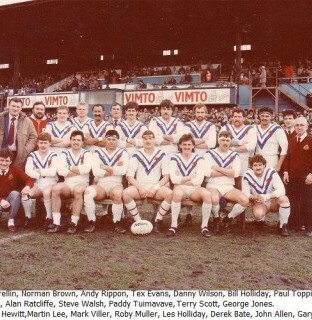 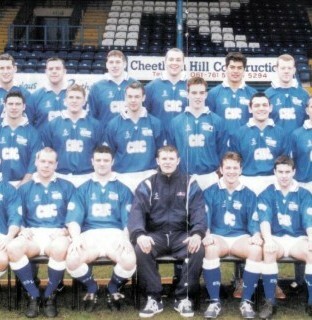 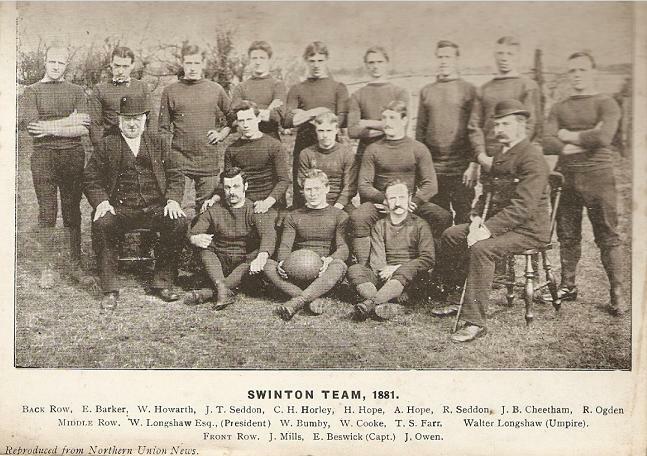 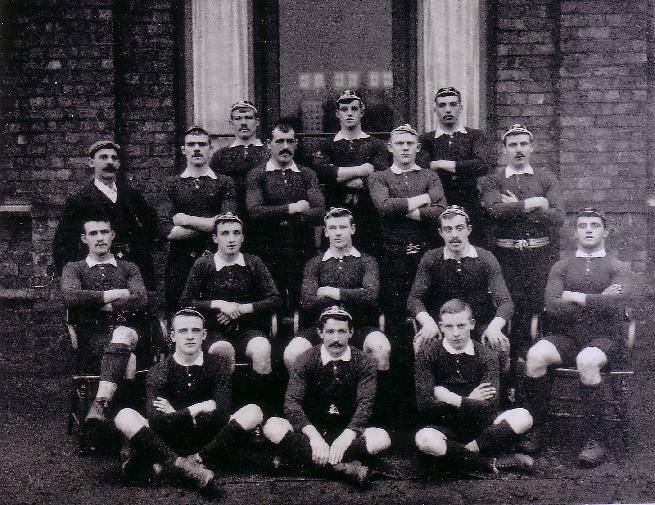 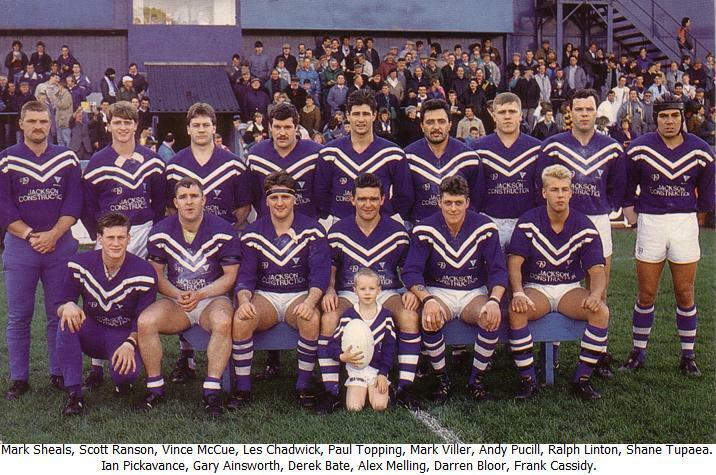 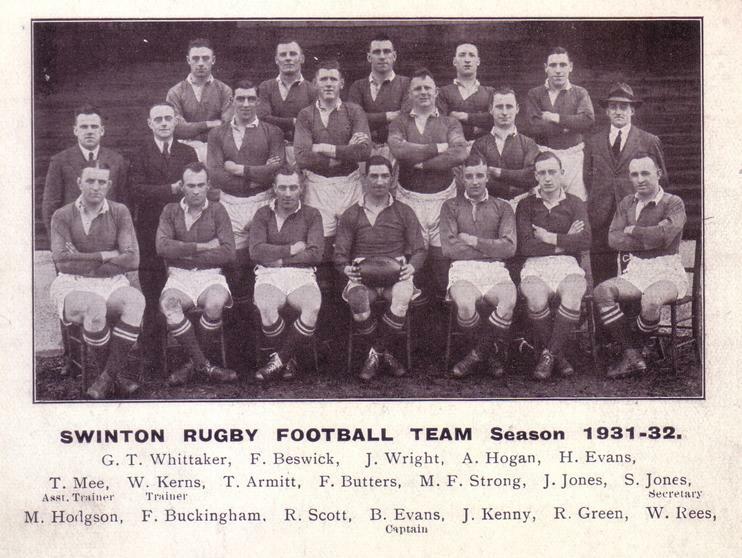 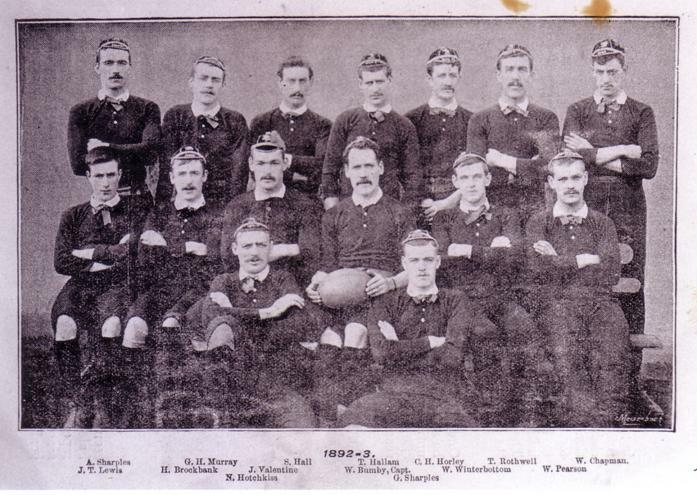 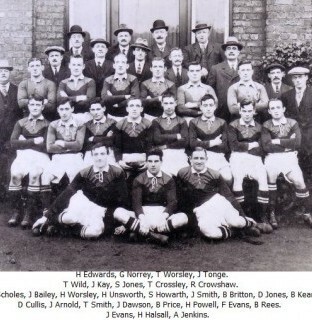 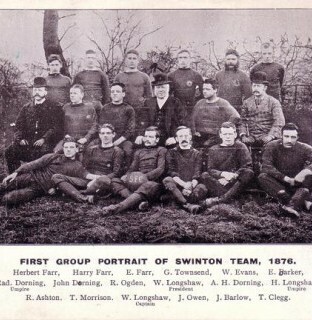 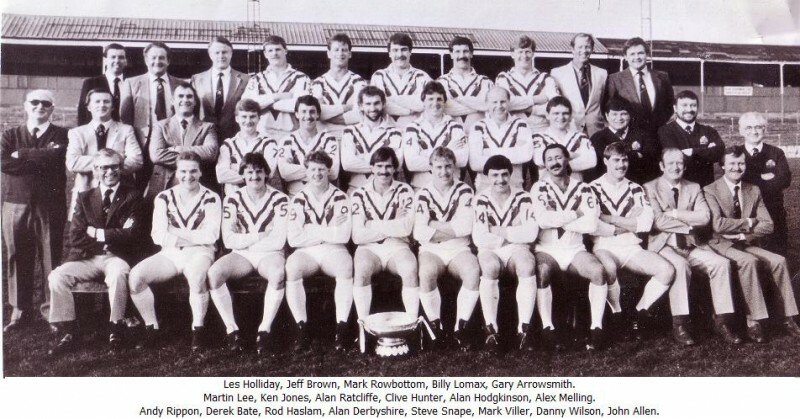 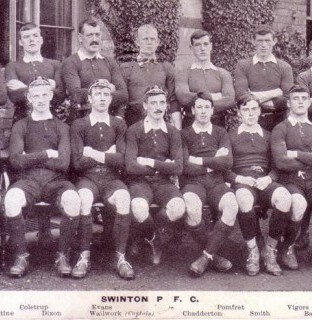 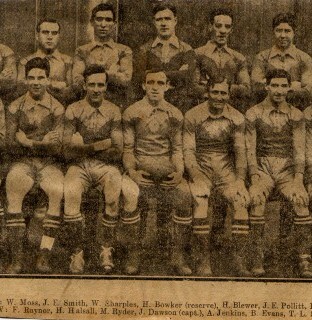 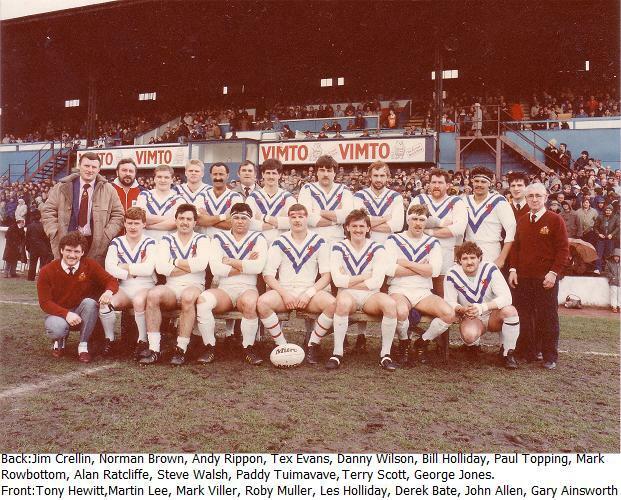 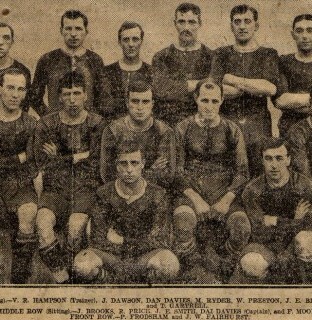 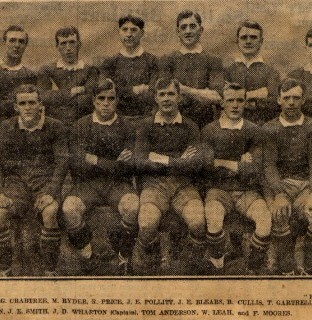 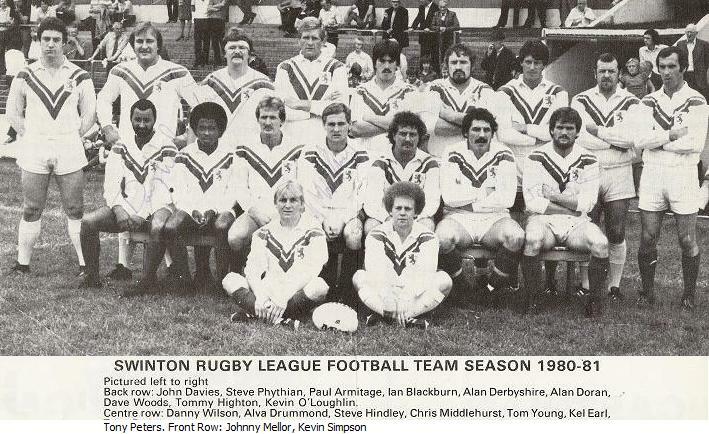 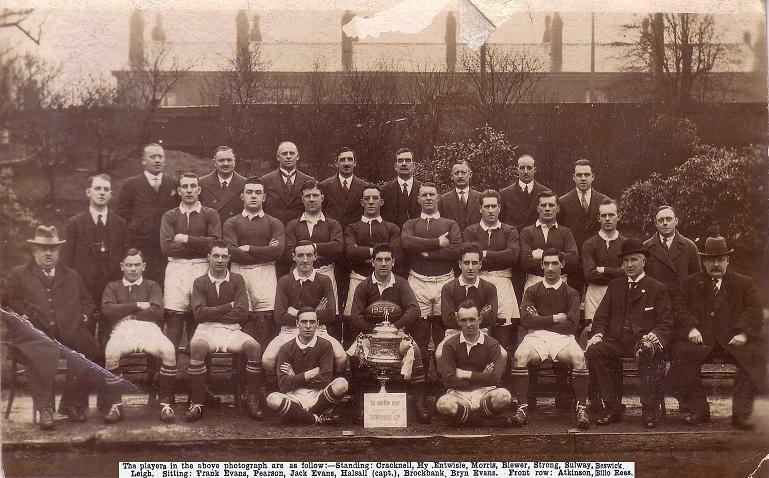 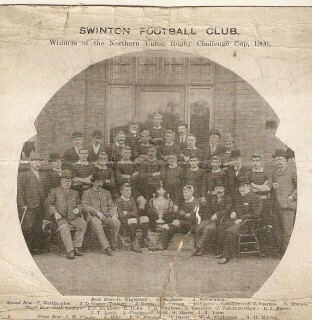 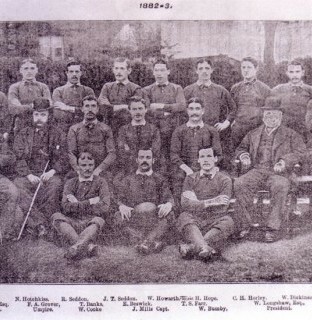 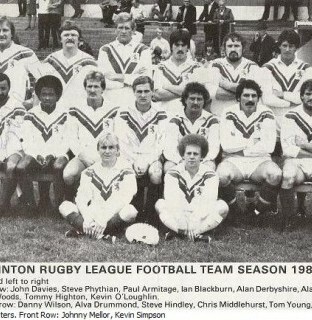 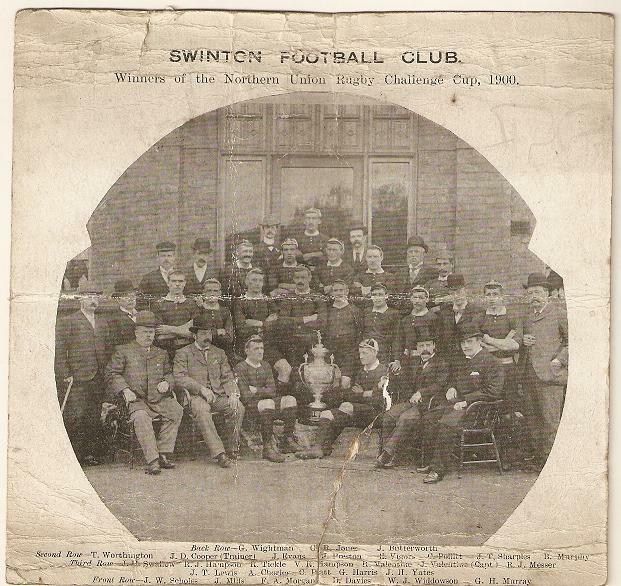 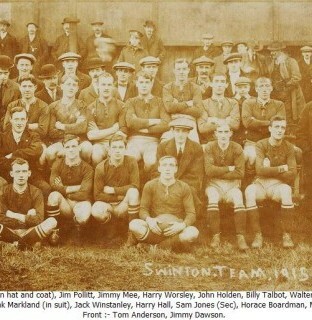 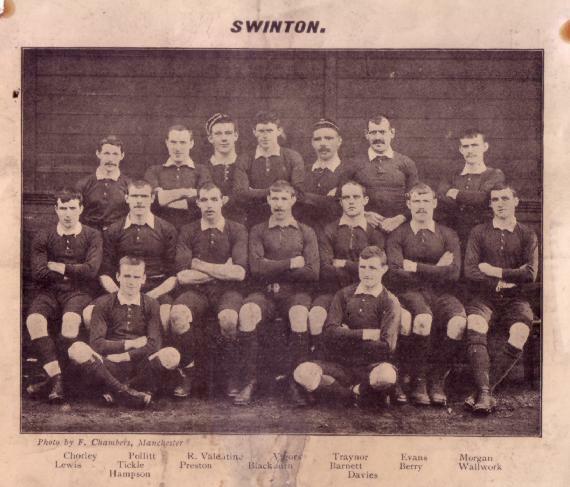 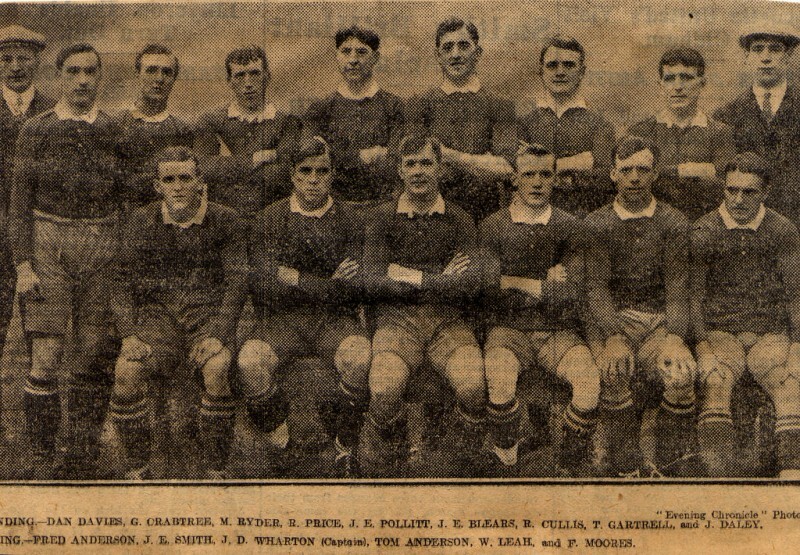 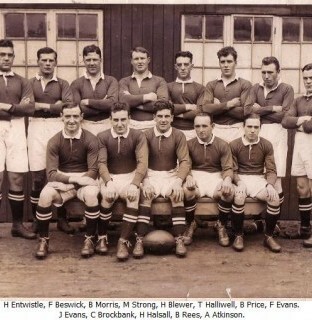 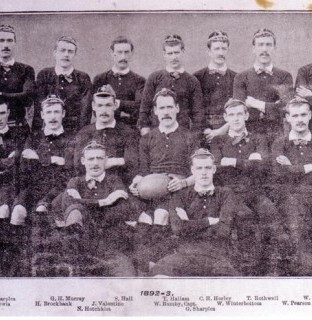 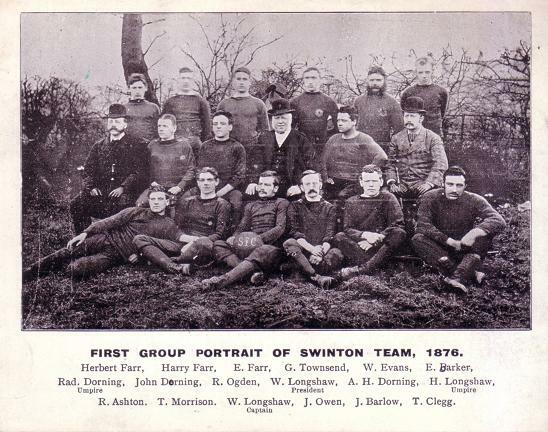 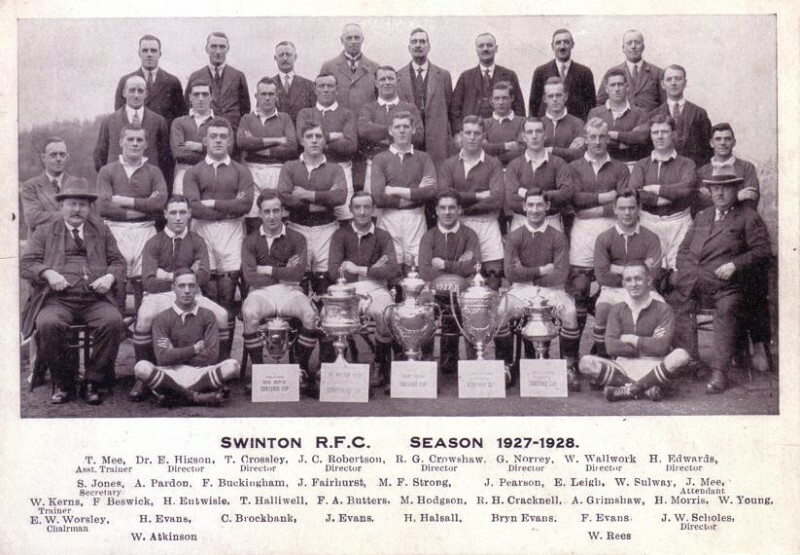 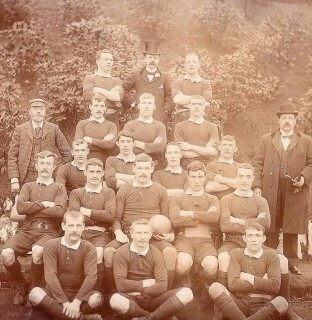 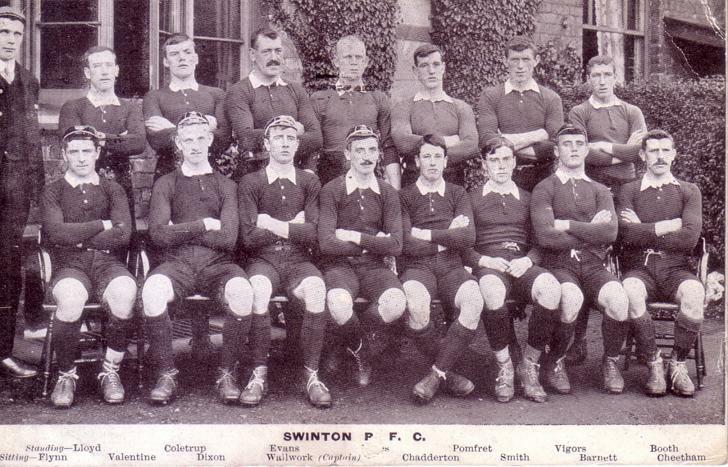 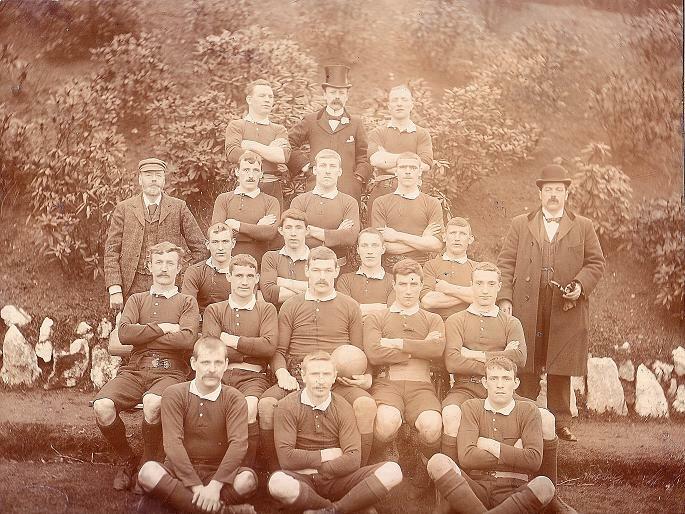 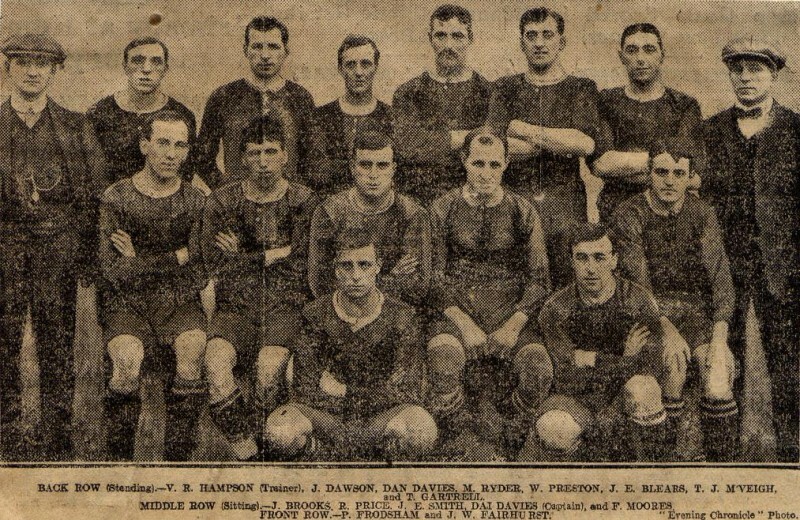 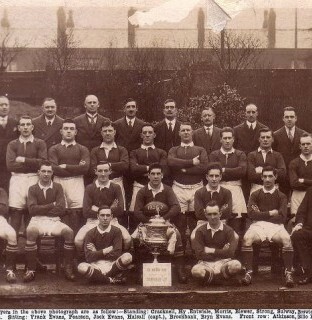 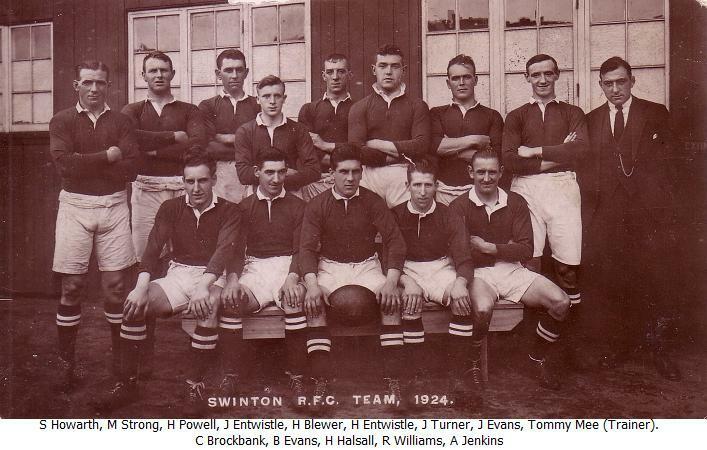 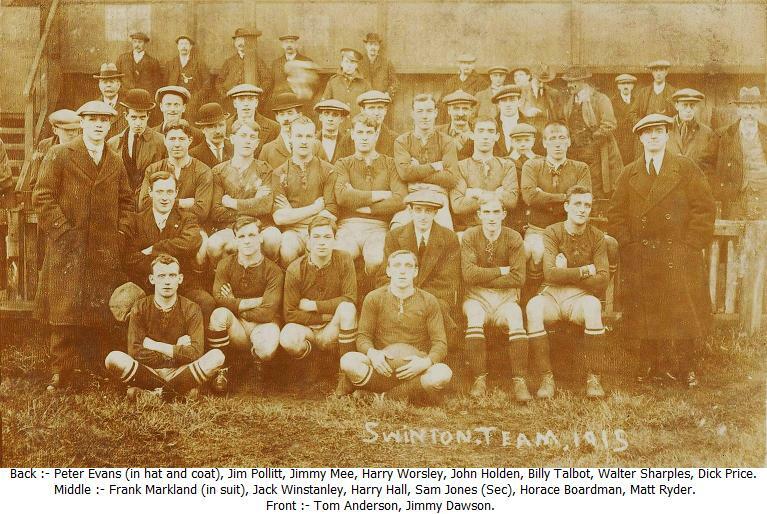 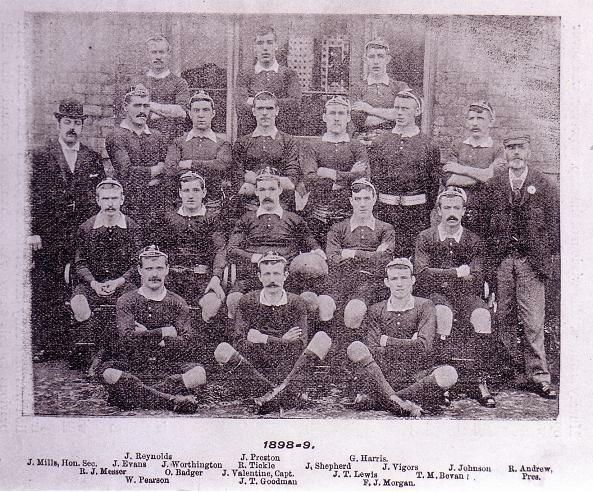 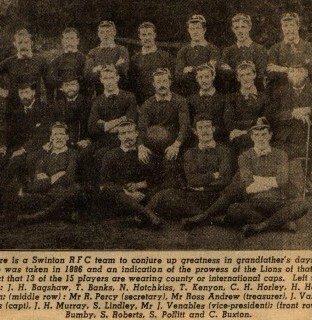 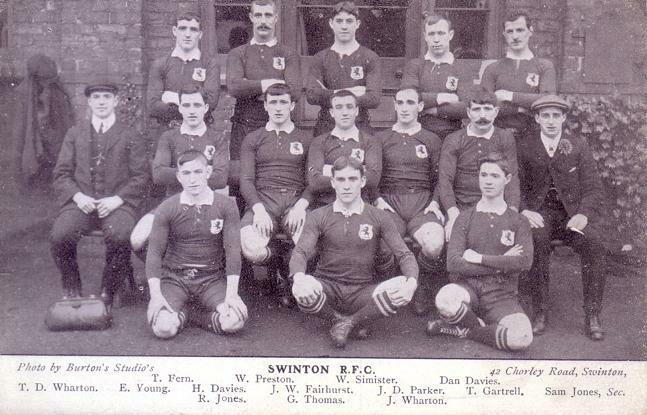 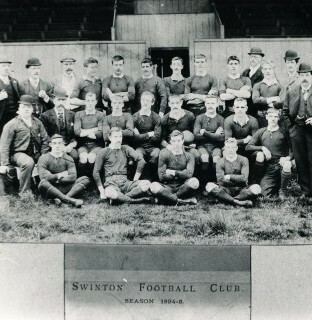 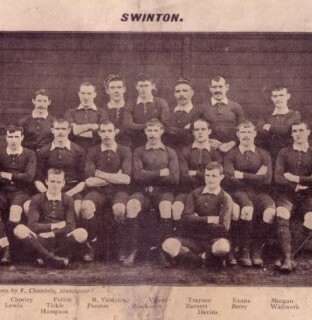 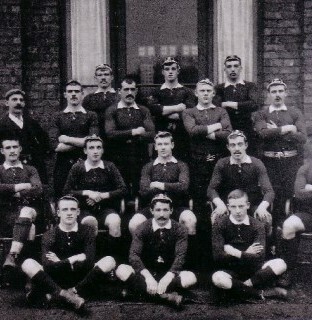 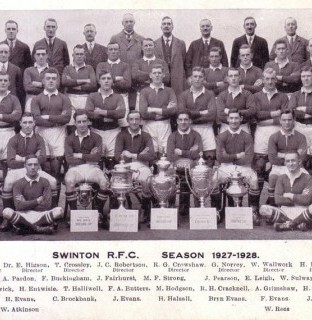 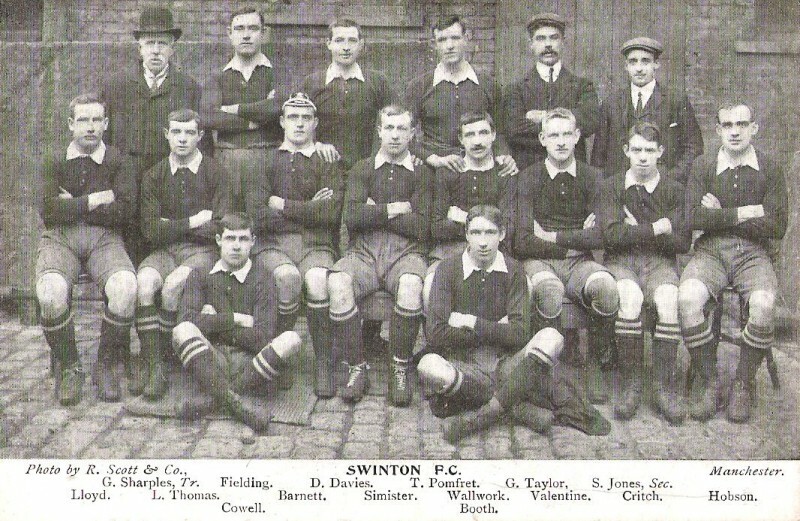 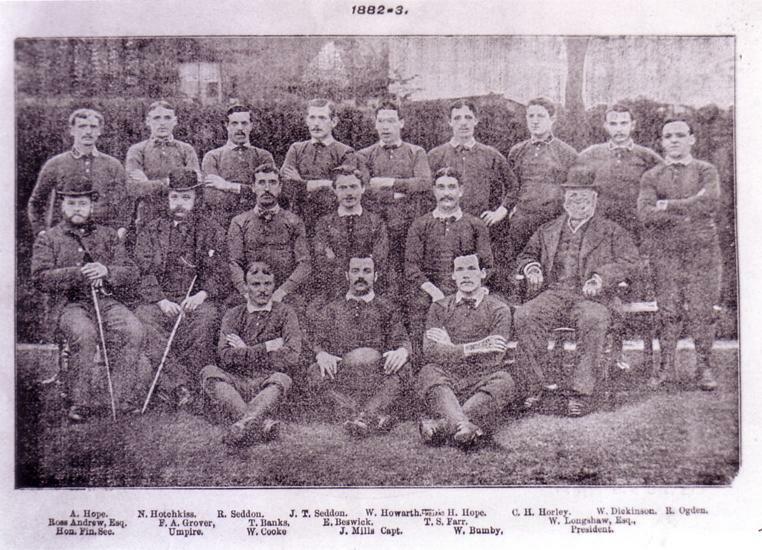 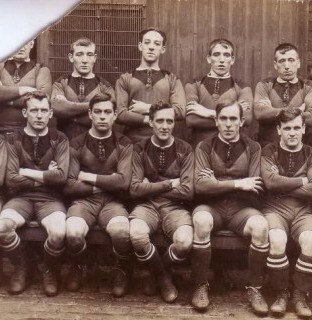 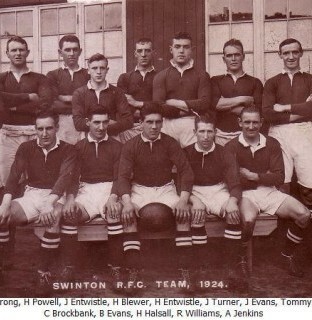 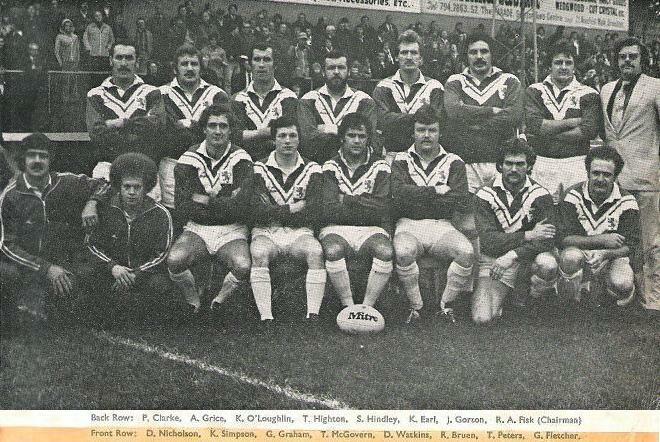 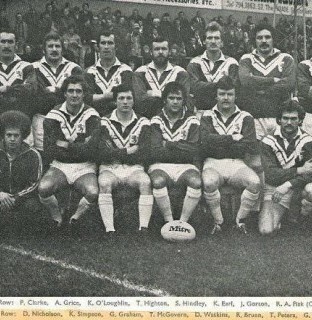 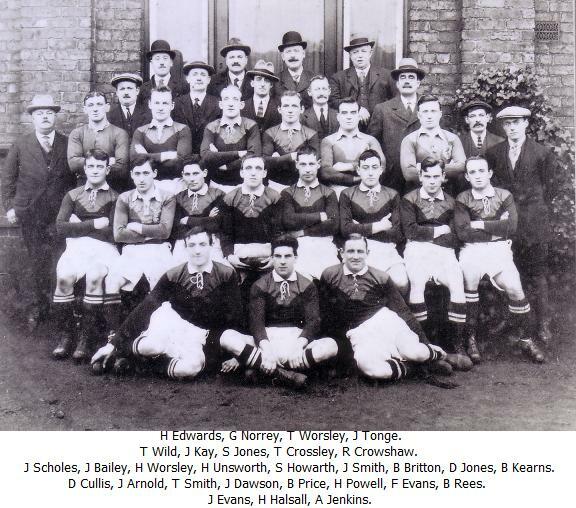 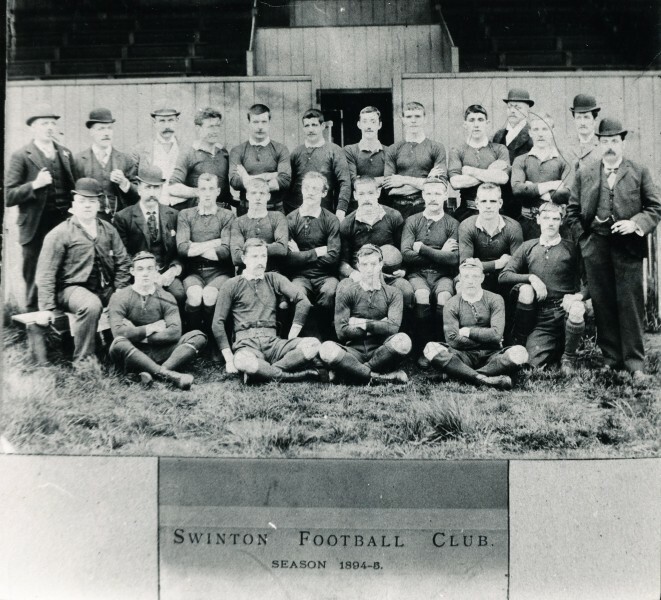 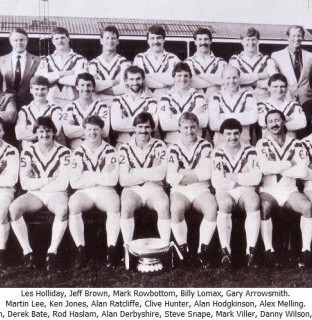 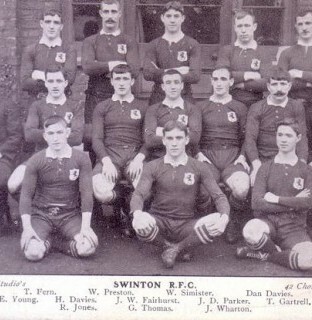 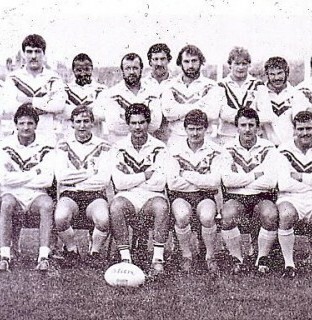 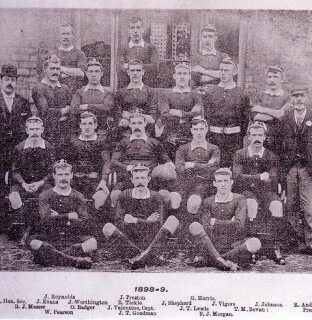 Team Photo 1912-13 before away loss at Warrington 9th Nov 1912. 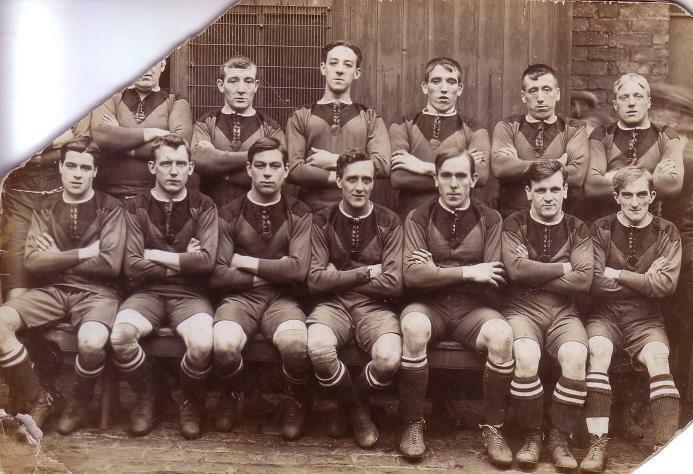 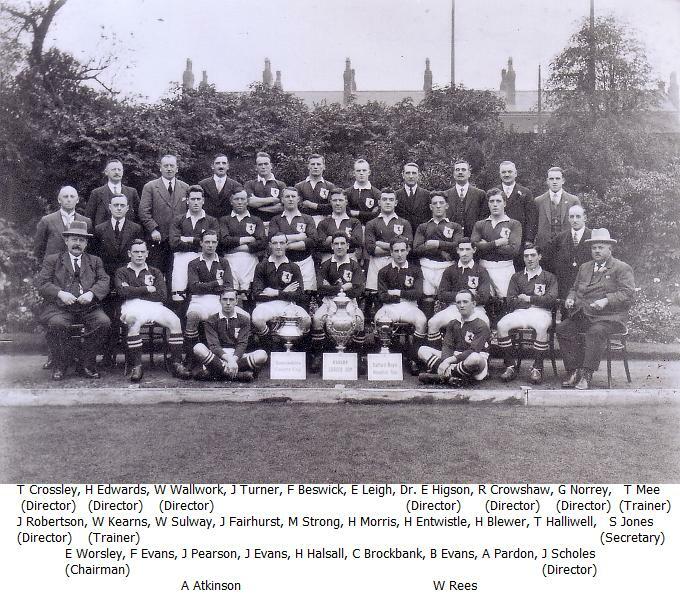 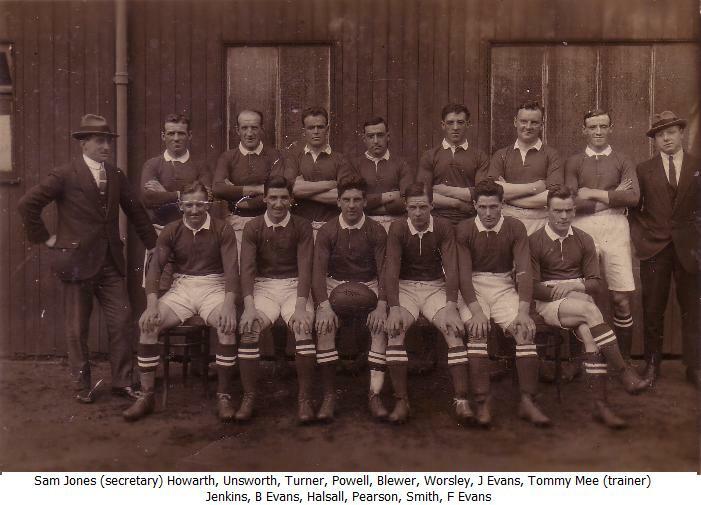 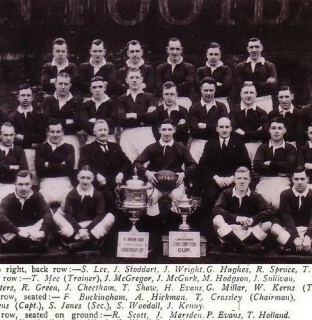 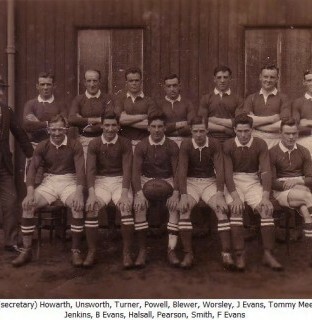 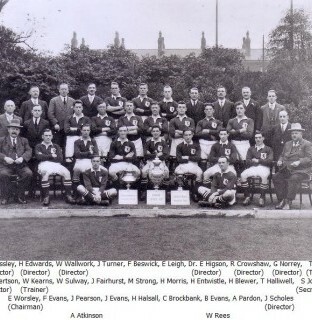 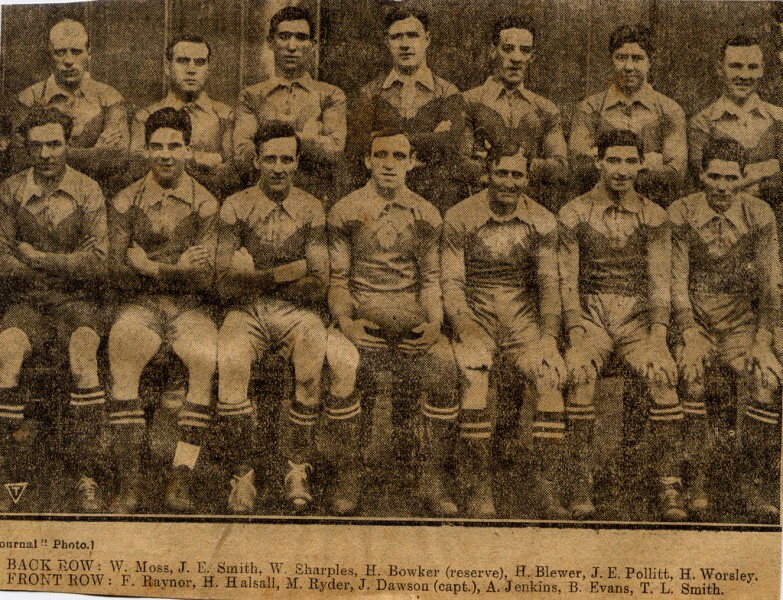 Team Photo 1922-23 before away win at Wakefield 26th Aug 1922. 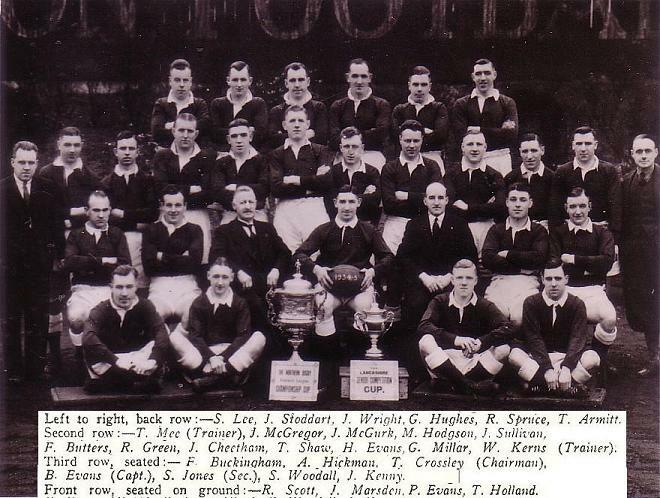 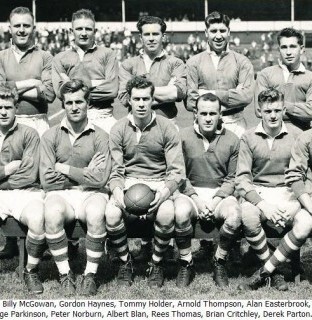 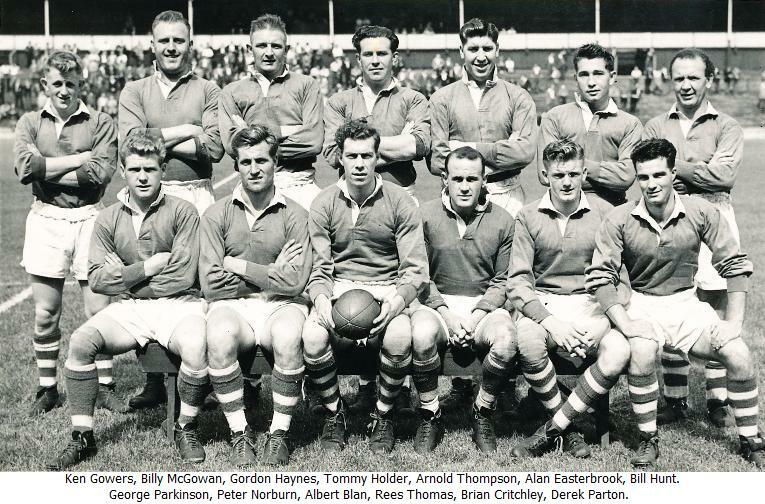 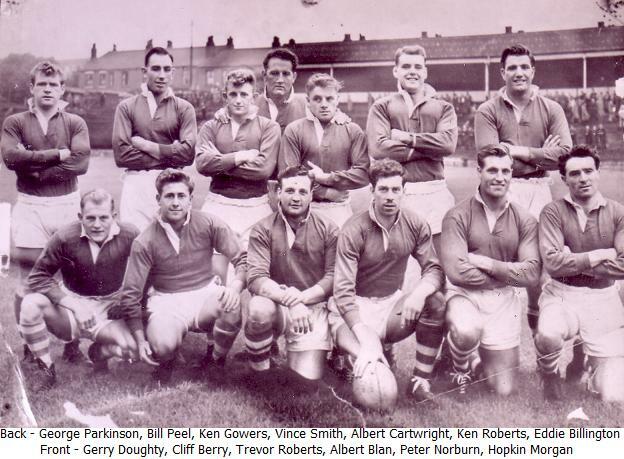 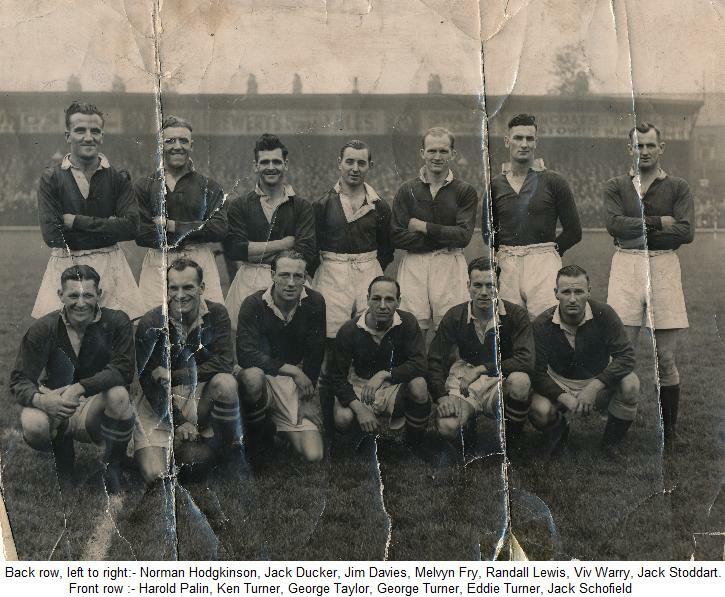 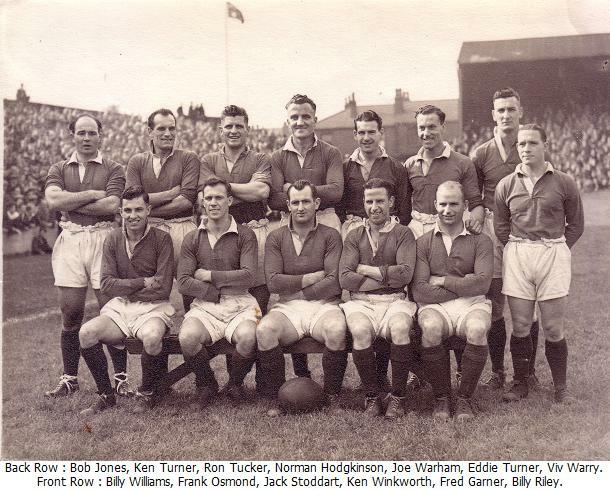 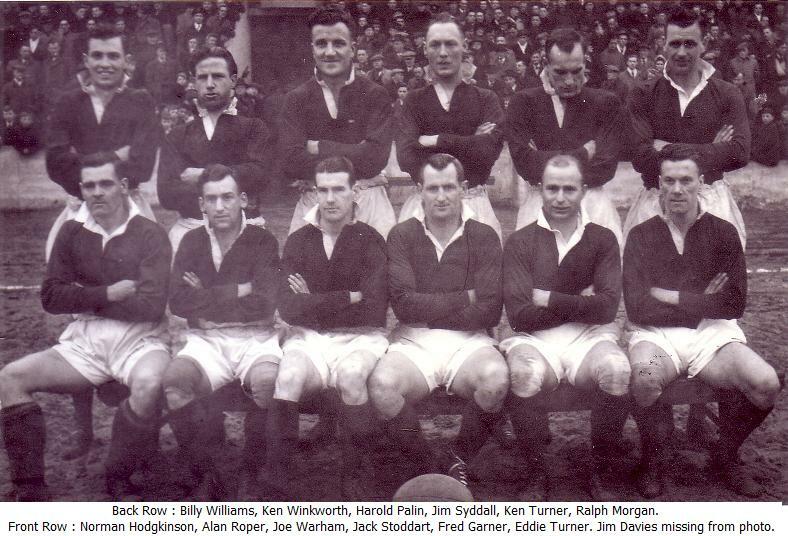 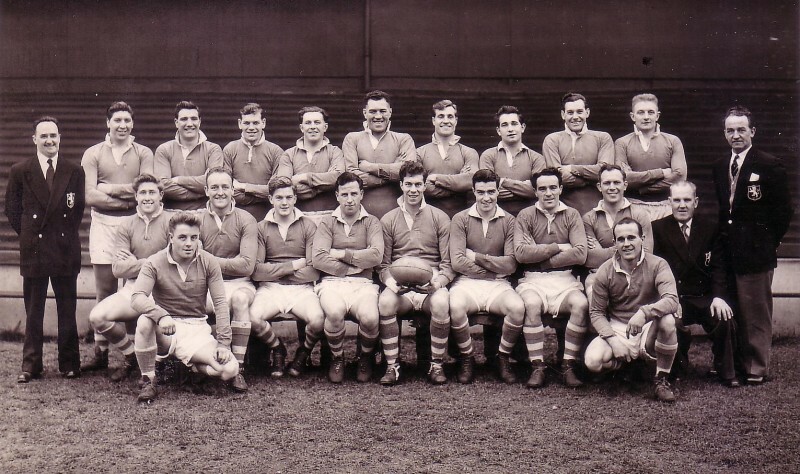 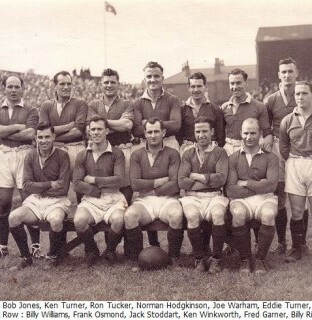 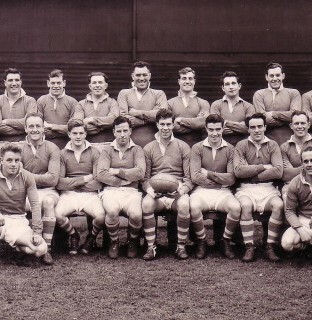 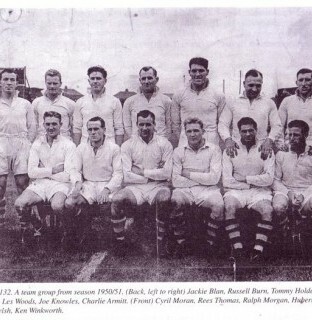 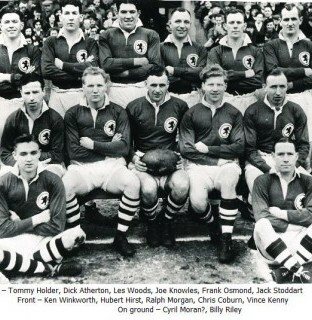 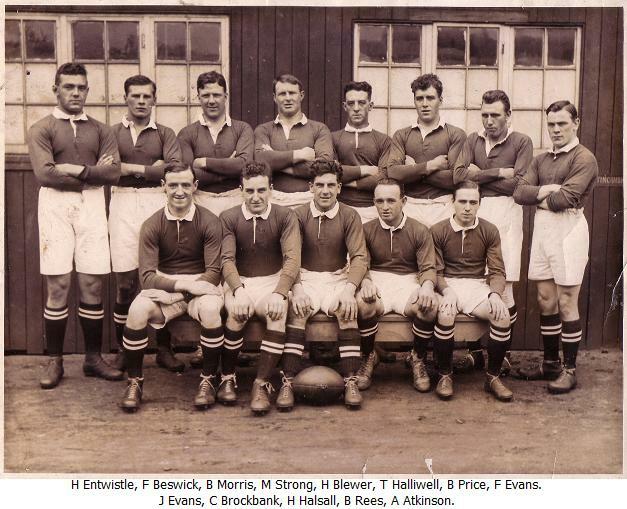 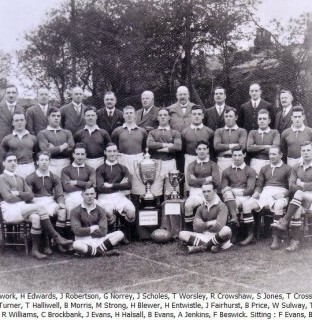 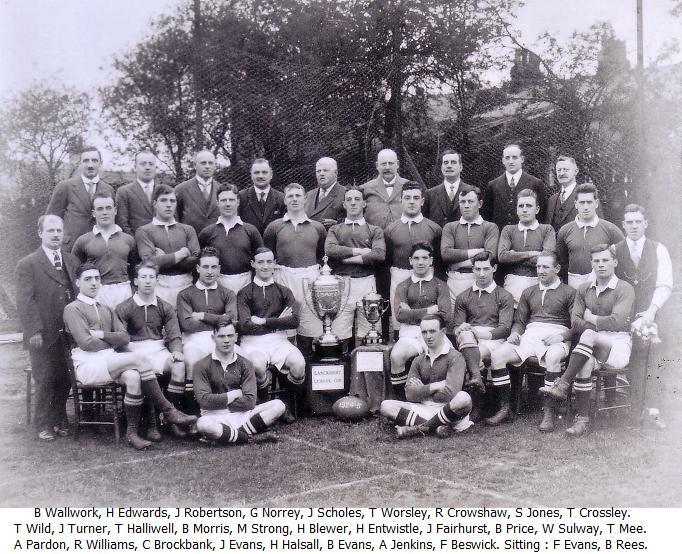 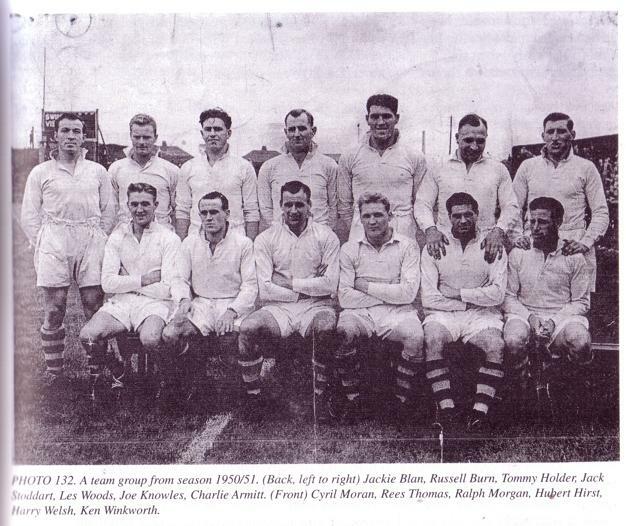 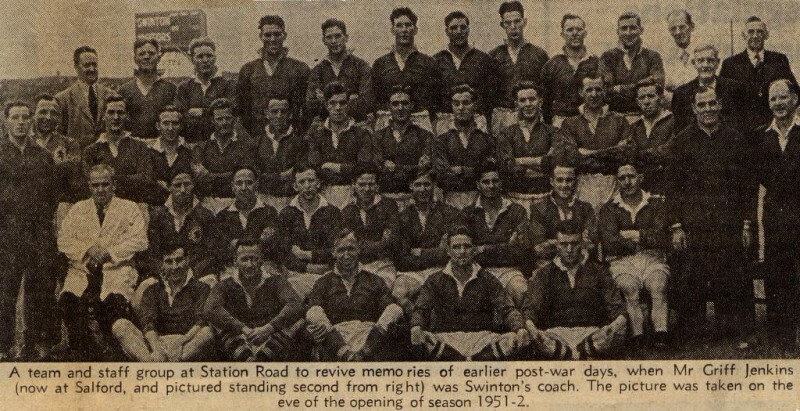 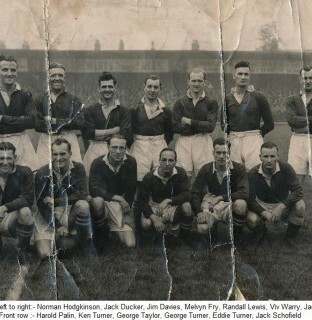 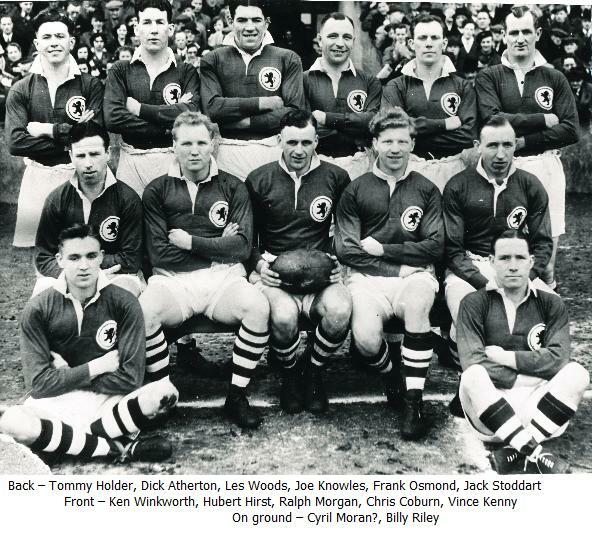 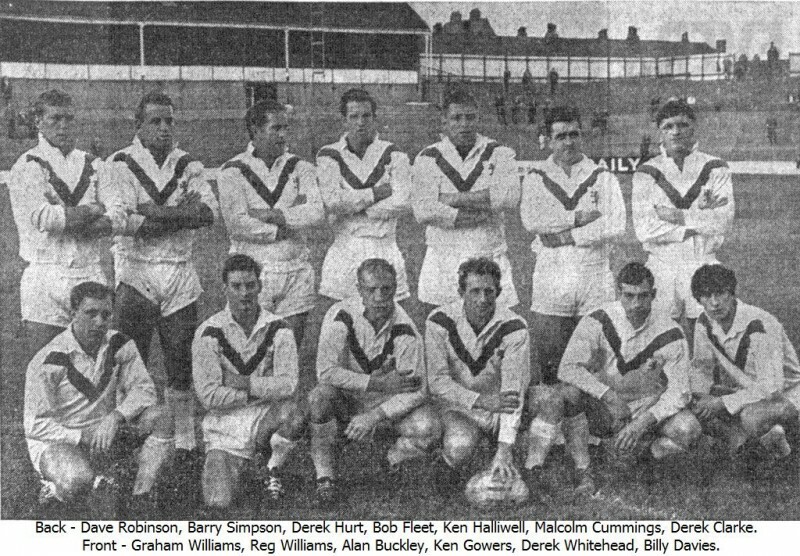 Team Photo 1955-56 before pre-season friendly with Salford 13th Aug 1955. 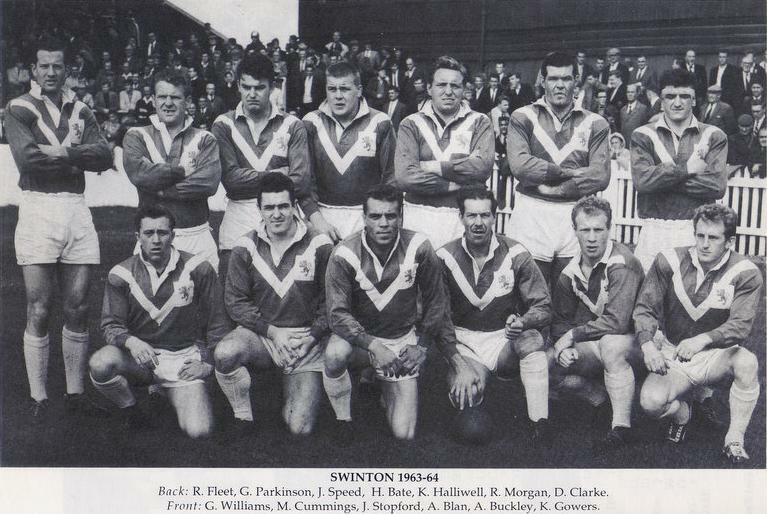 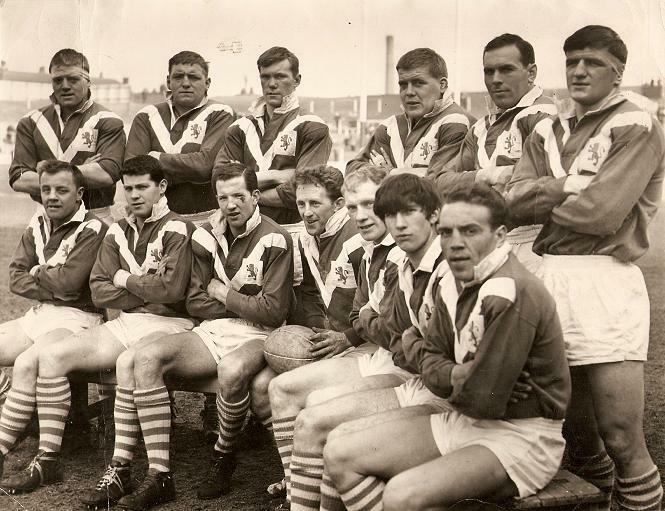 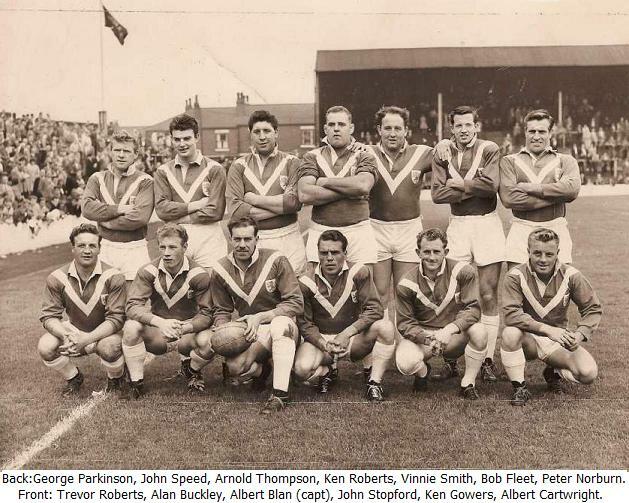 Team Photo 1959-60 before a home win over Dewsbury 15th Aug 1959. 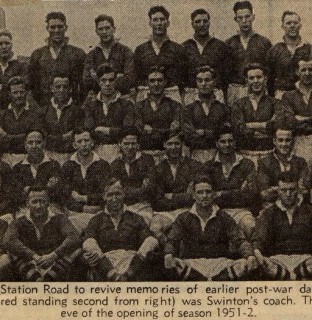 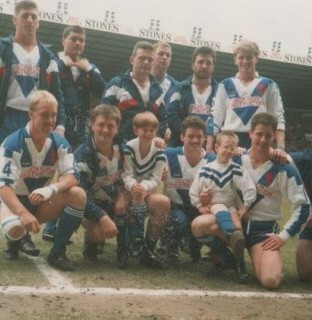 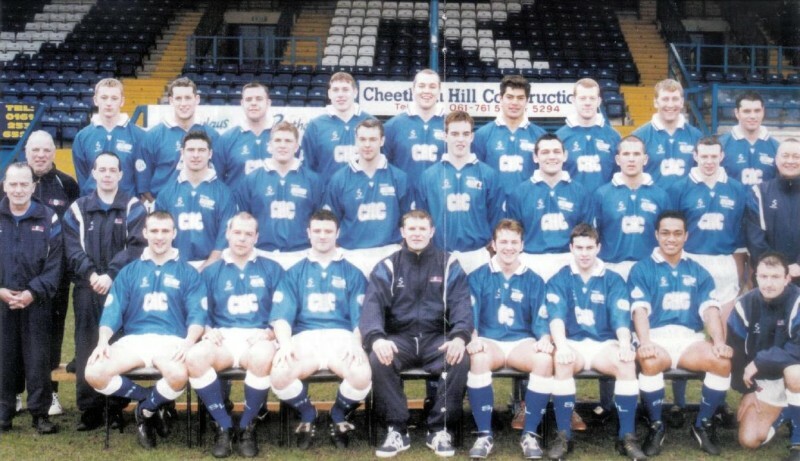 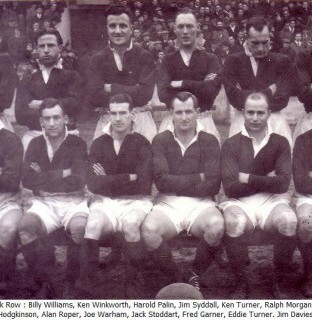 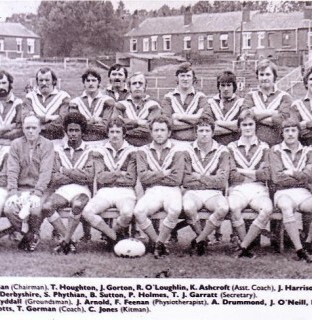 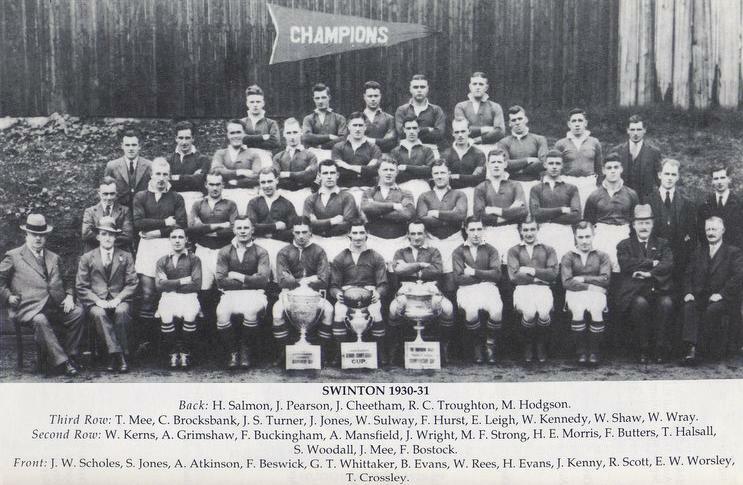 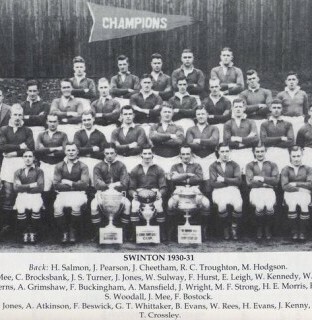 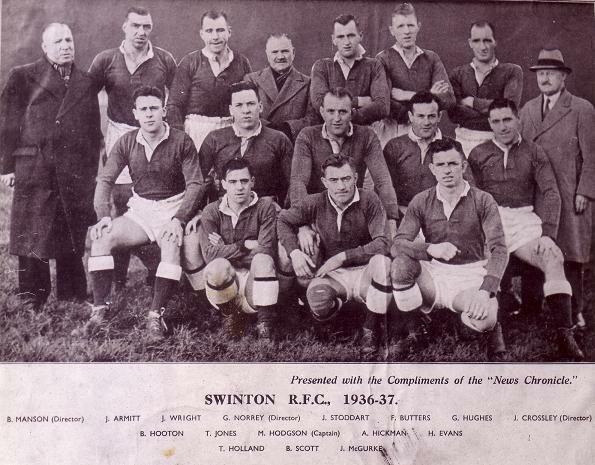 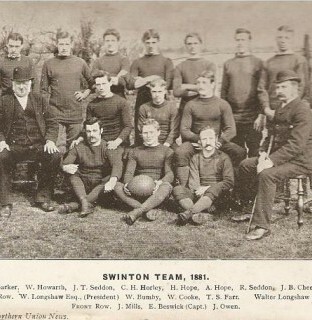 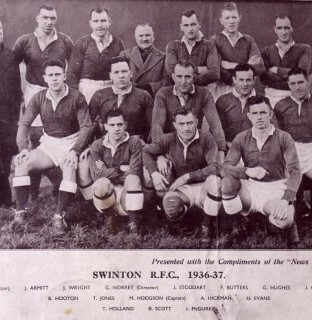 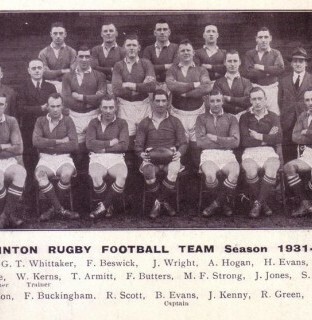 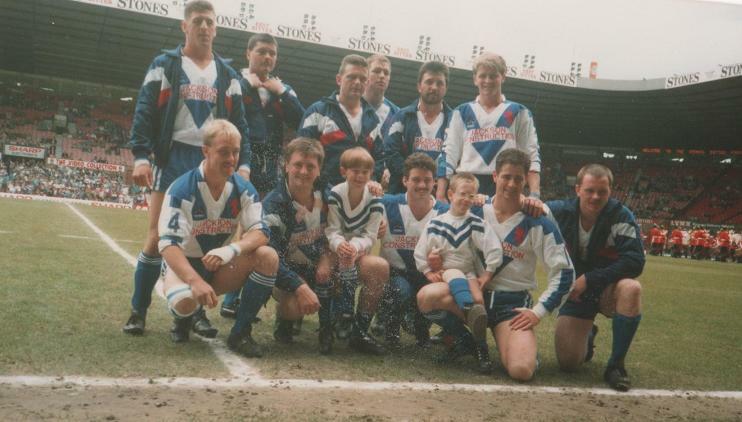 Bernard McMahon broke the Swinton points in a game record in this match. 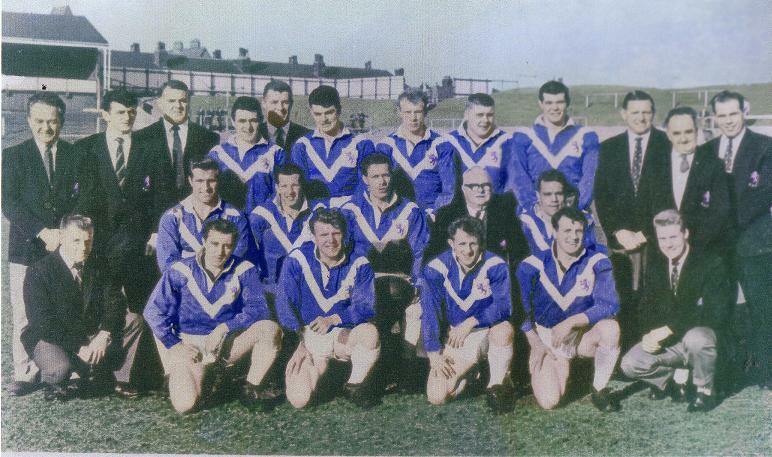 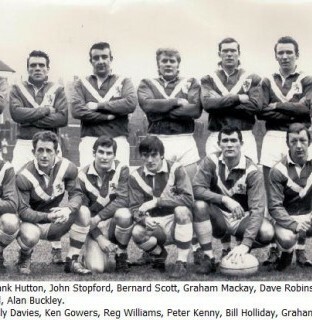 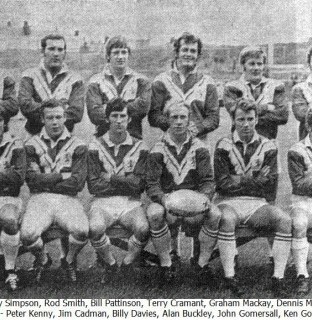 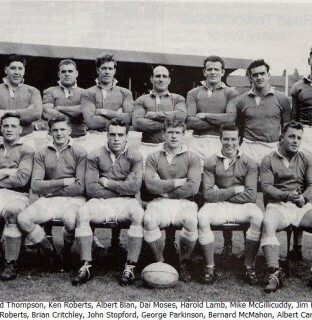 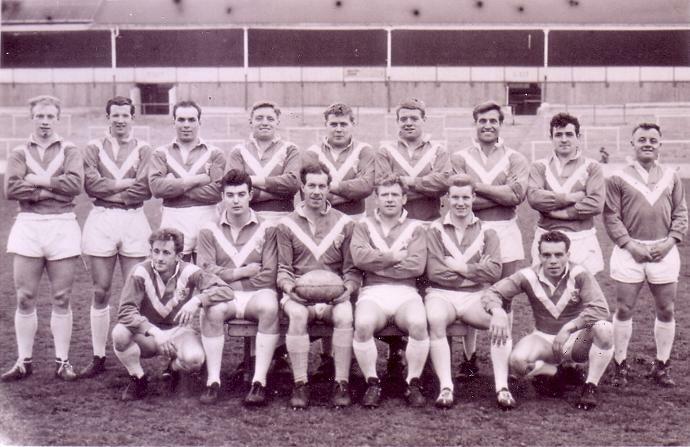 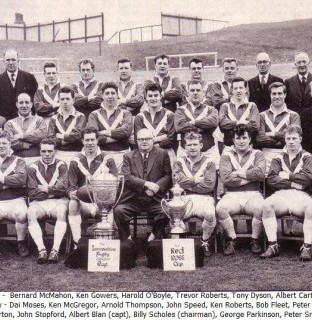 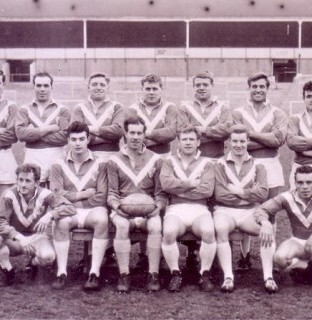 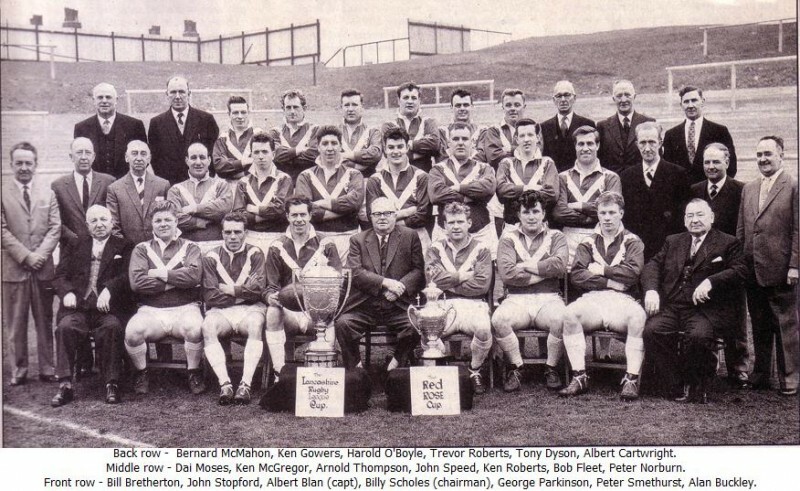 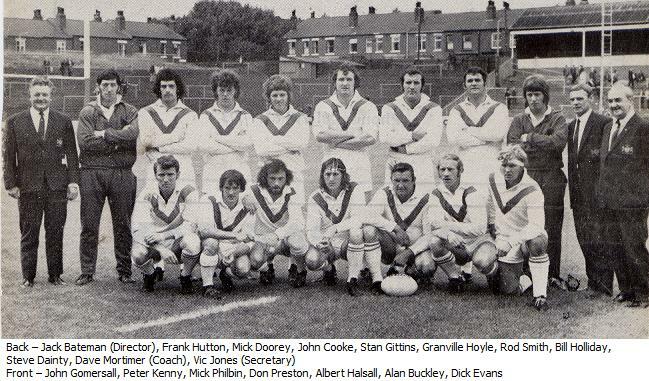 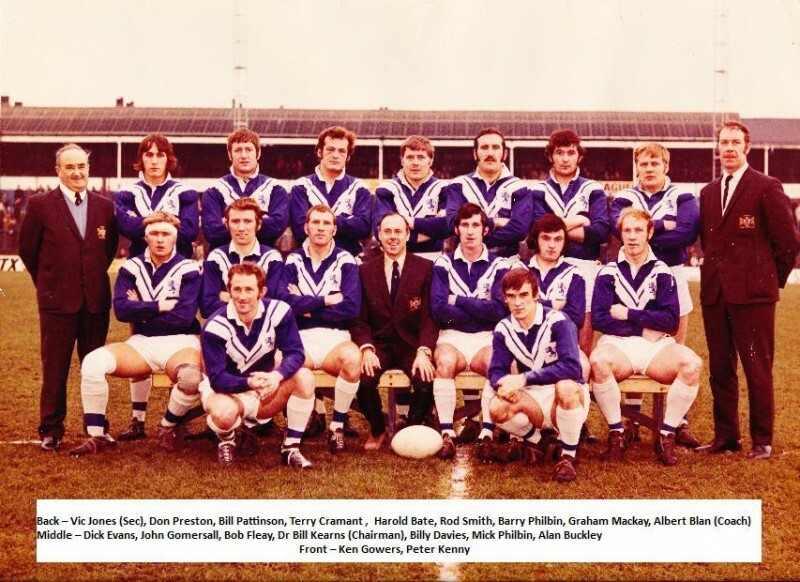 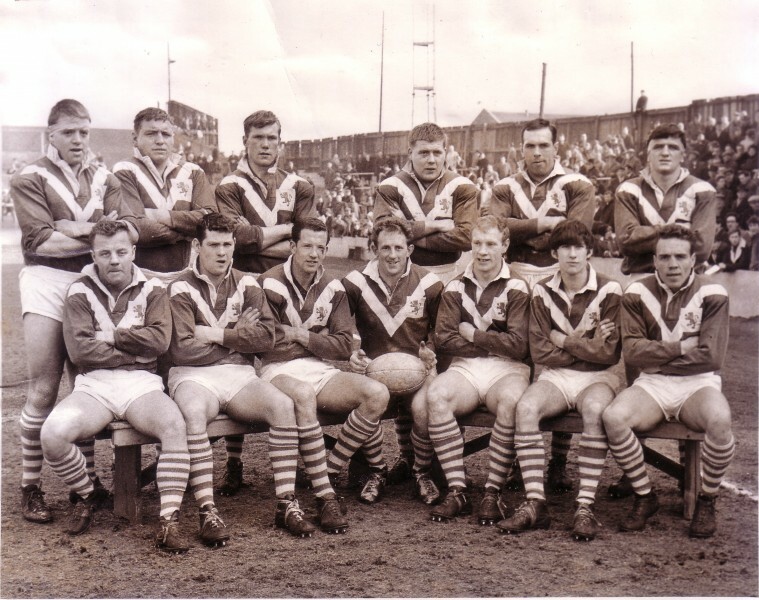 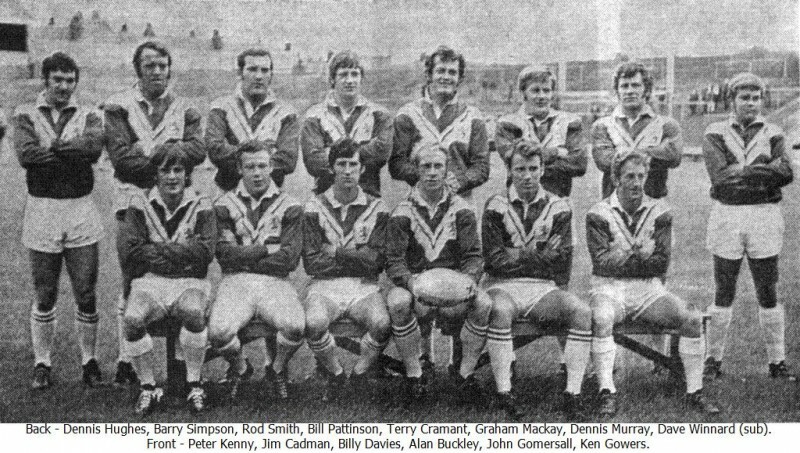 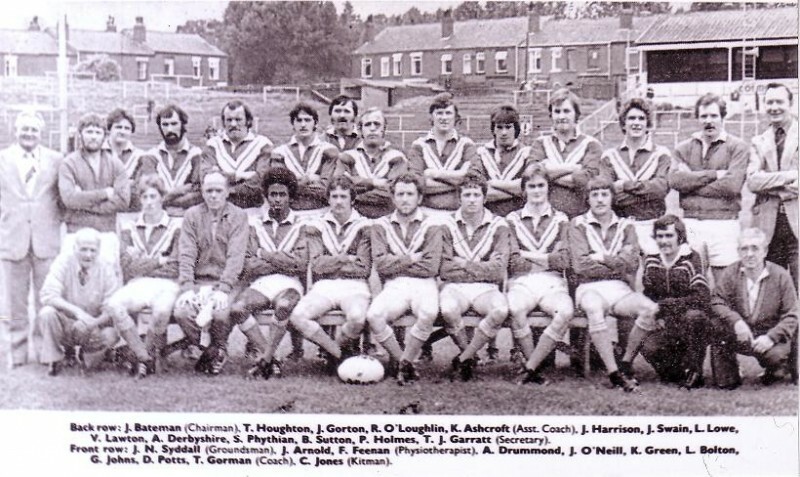 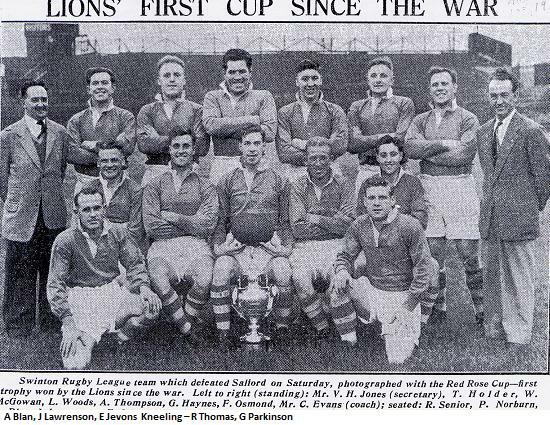 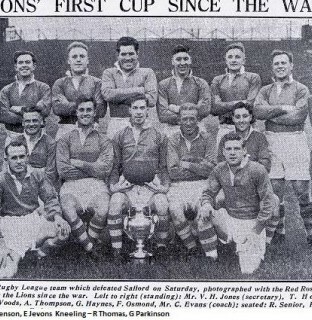 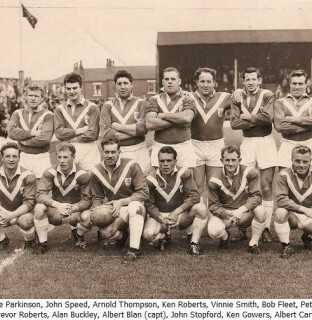 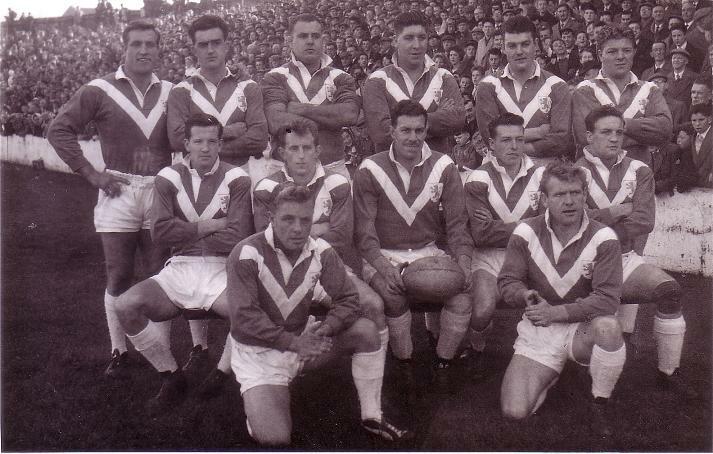 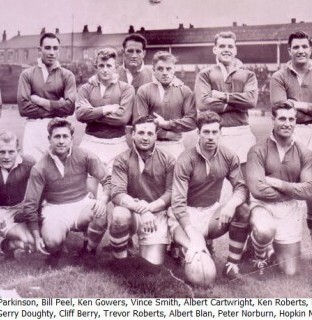 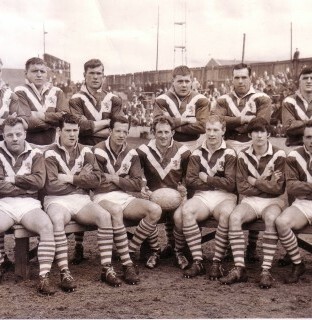 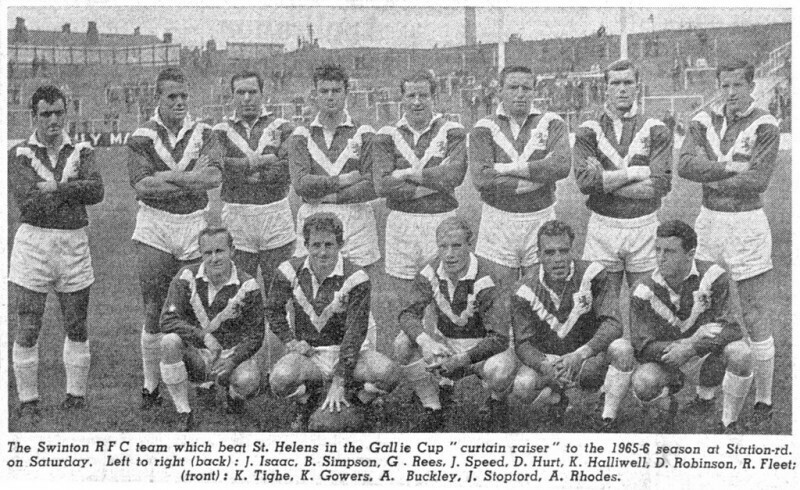 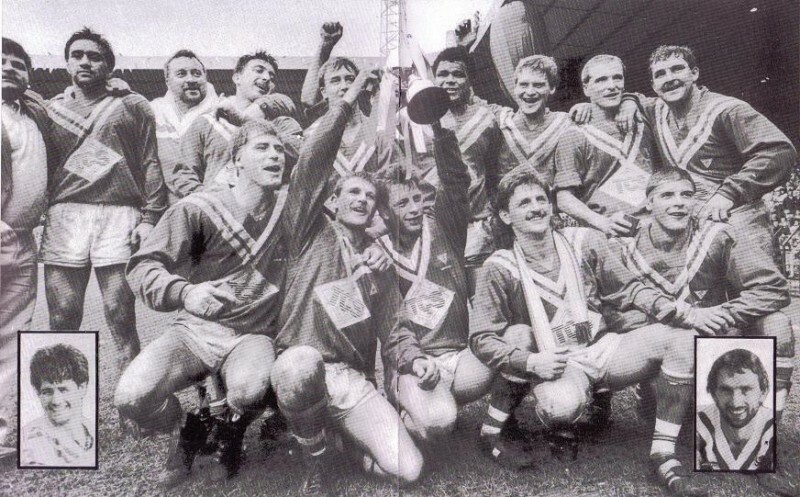 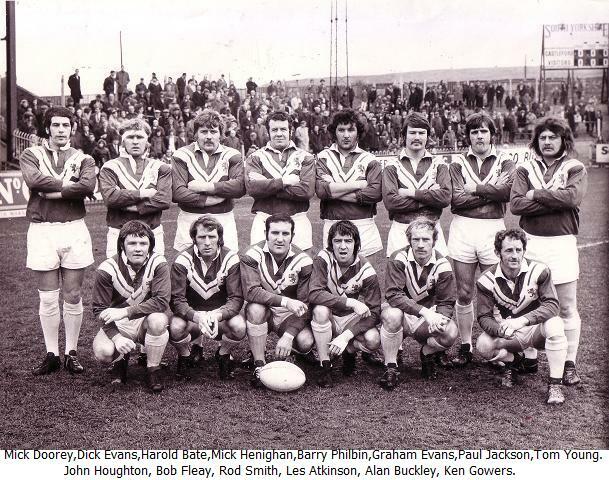 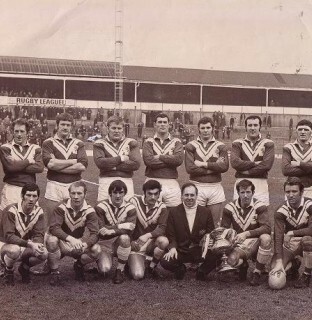 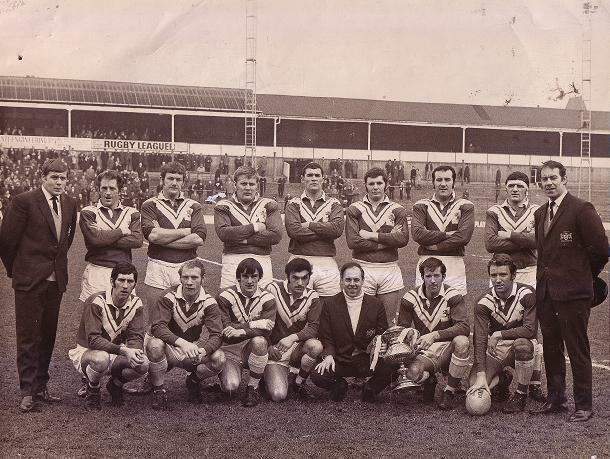 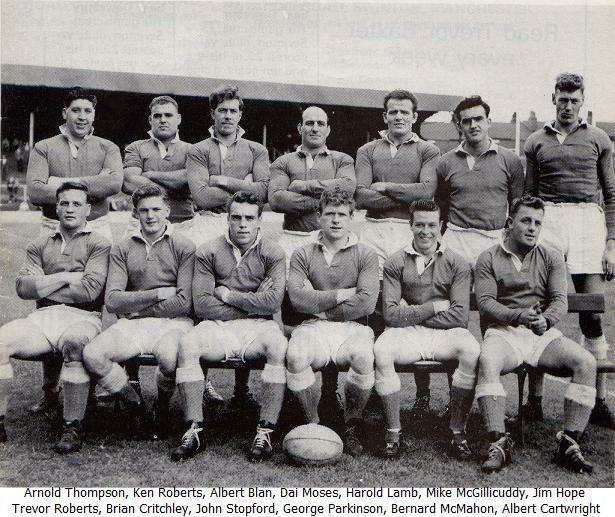 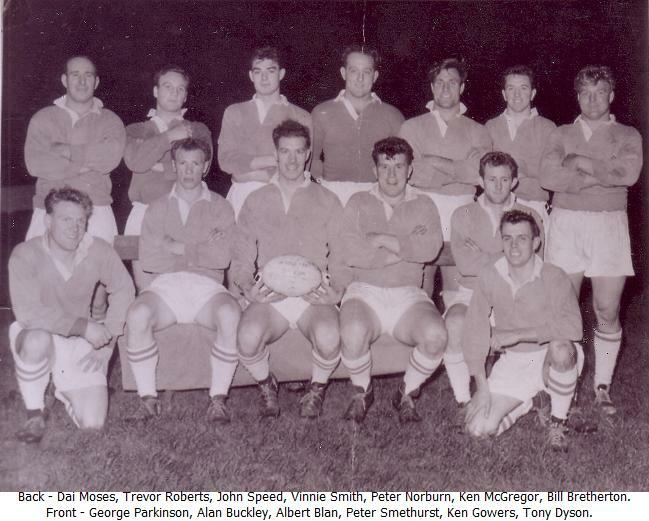 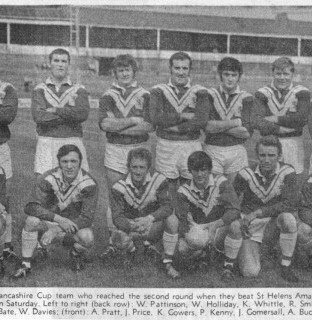 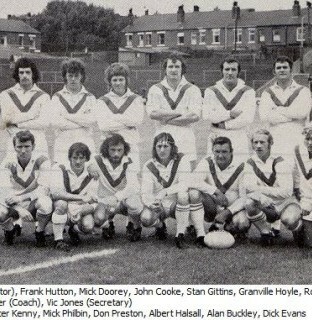 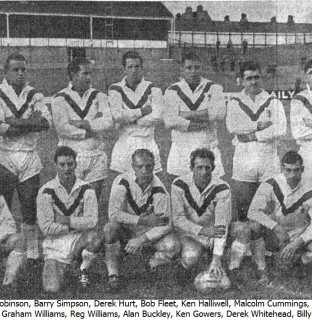 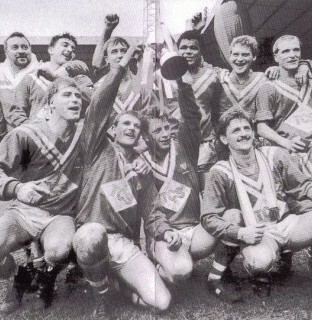 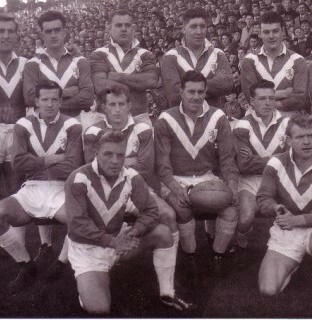 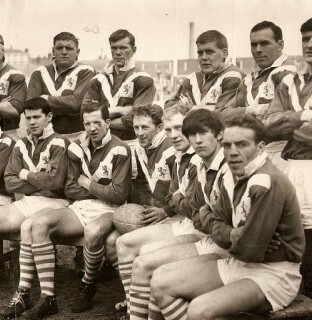 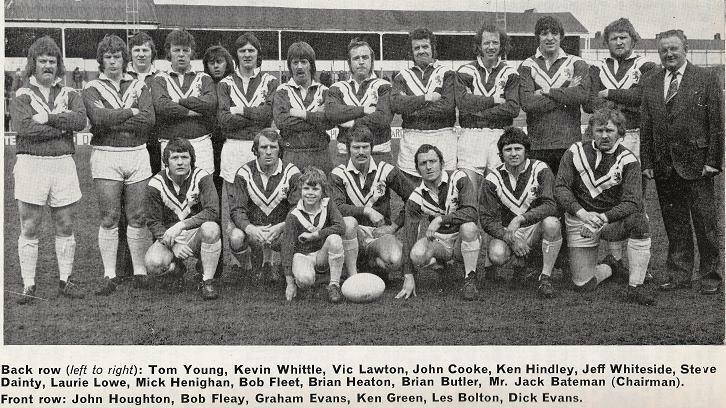 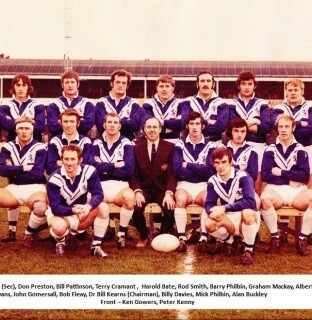 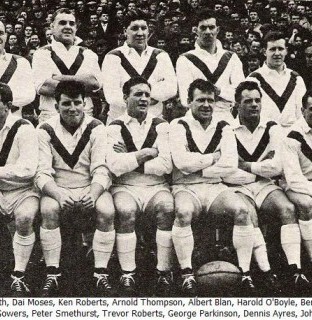 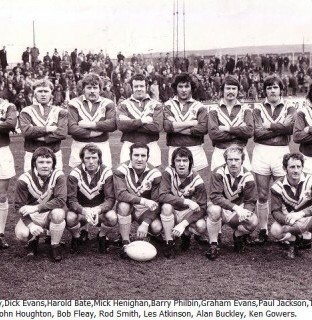 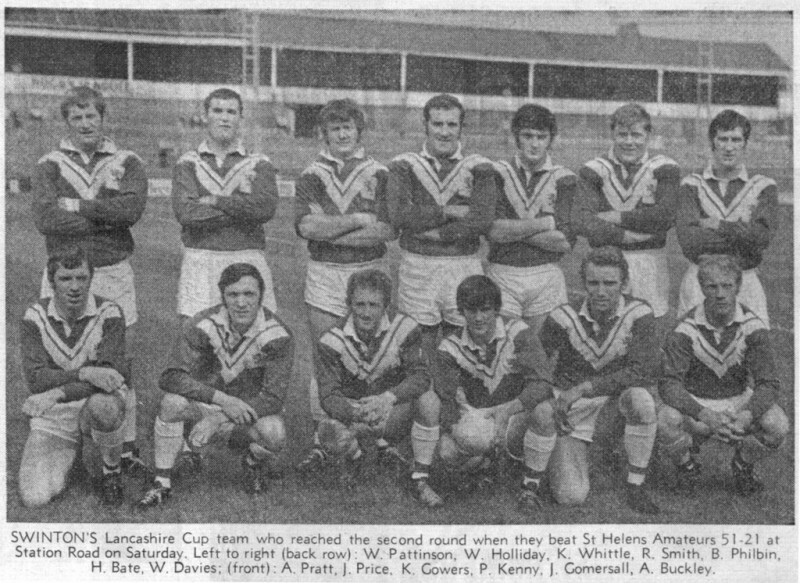 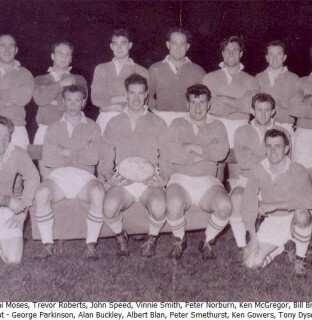 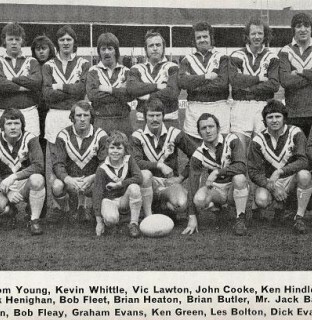 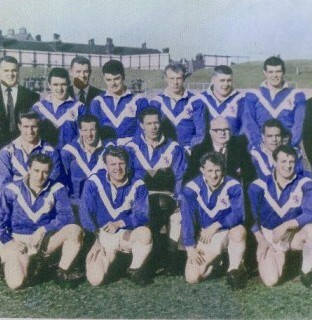 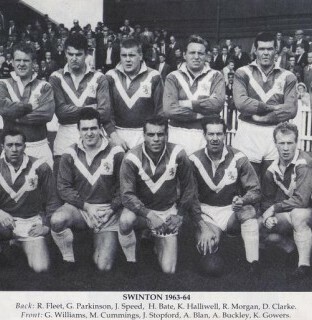 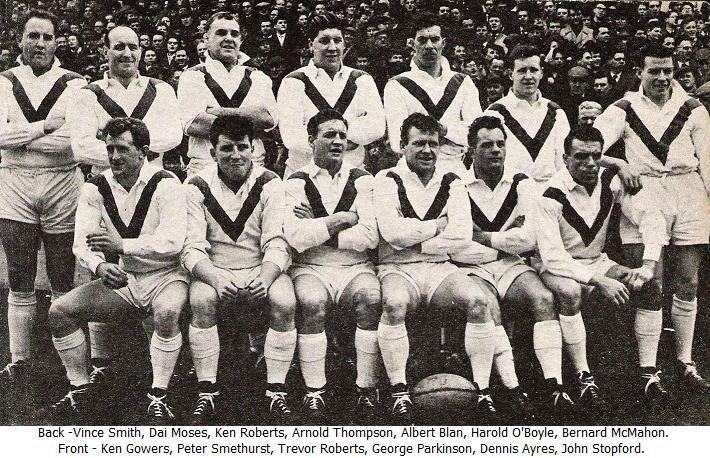 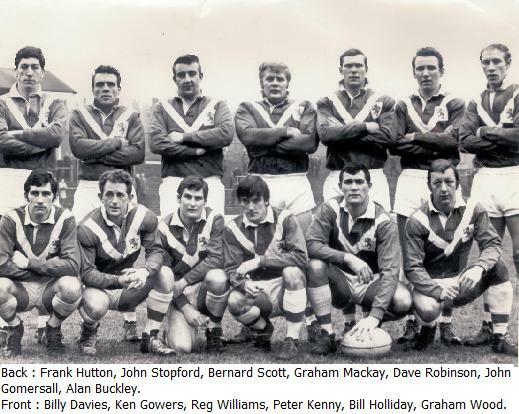 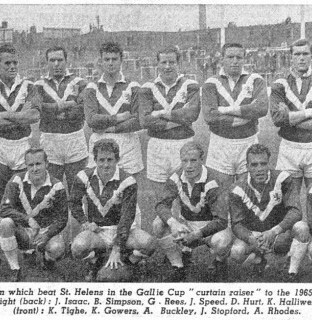 Team Photo 1961-62 taken before Red Rose Cup win over Salford 12th August 1961.